Over 100 entires of school groups, scouts, businesses, civic clubs, church groups, bands, horses, antique cars, antique tractors, emergency vehicles and more, will participate in the parade. Hundreds of people line the sidewalks and parking lots along the path to enjoy, waiting to see that special man, Santa, who will be riding the City of Centre Fire Truck throwing candy to all the children along the way! The Cherokee County Rescue Squad members will be at the line-up to ensure safety. Float entries need to be in line-up by 4 pm for judging. 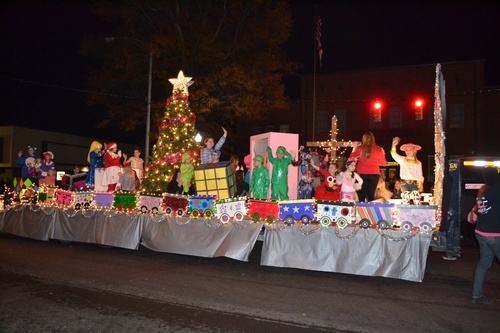 The Parade is sponsored by The Spirit of Cherokee, Inc. A non-profit organization.